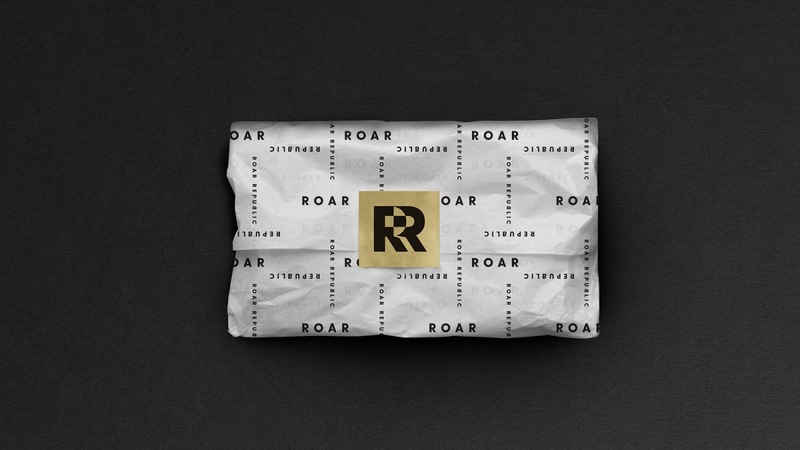 Ays – the founder of Roar Republic has trusted us to help her define her new fashion line brand. 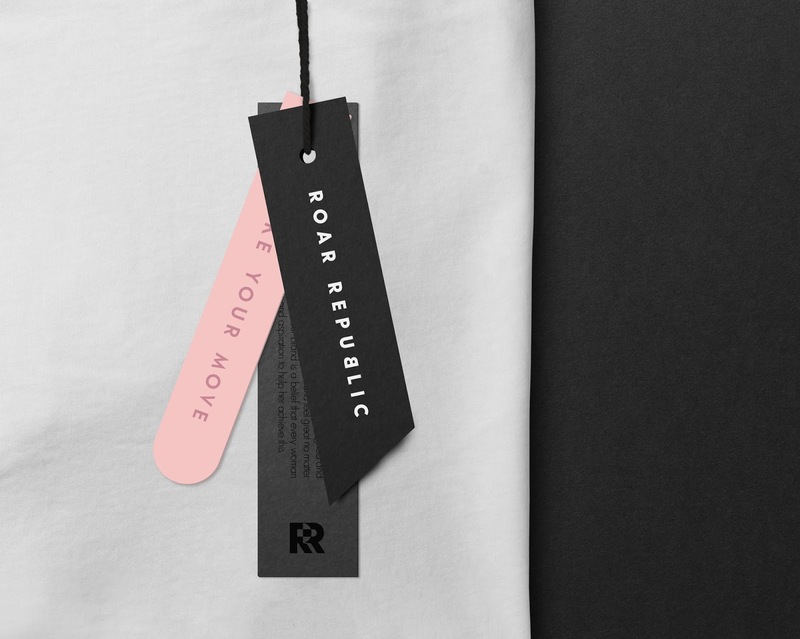 The vision for the brand was focusing on creating beautiful activewear for women of every shape and size accomodating the needs of every body type. With this in mind we had decided that the brand’s main purpose should be to encourage every woman to see her true beauty and inspire her to be the best she can be. 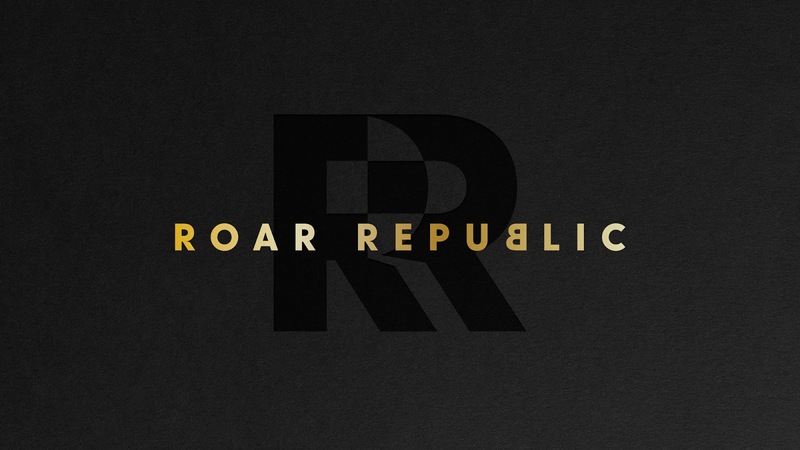 We created the name Roar Republic – which encapsulates the feeling of female strength and belonging to a community. 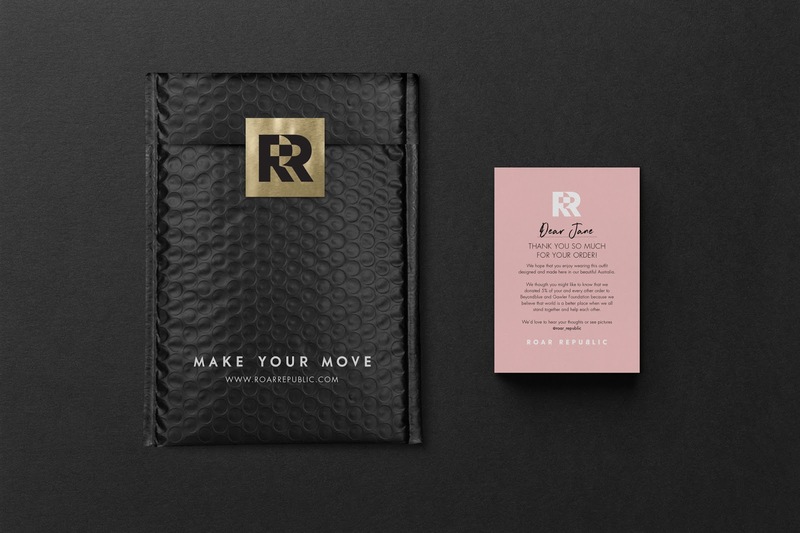 The strapline ‘Make your move’ refers to being both active and standing up for what you believe. 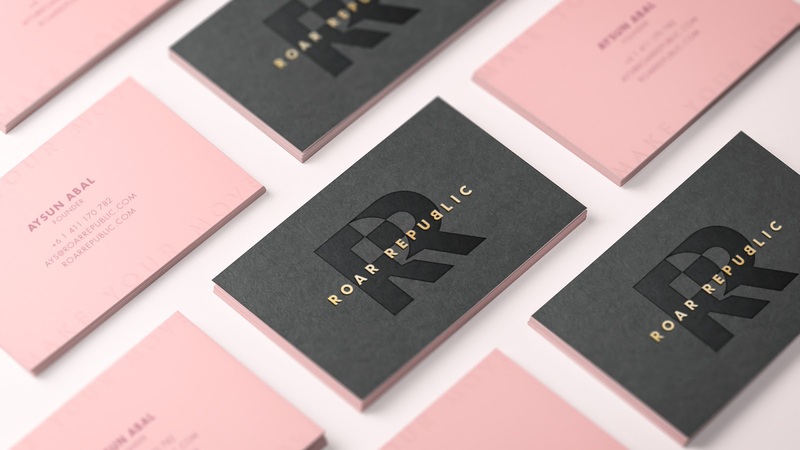 The mark of overlapping ‘R’ letters symbolises two women standing together and supporting each other. 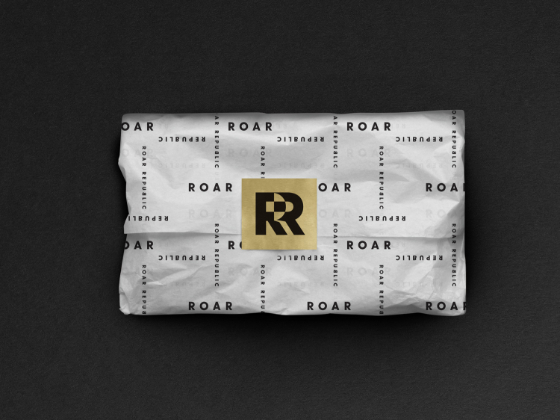 Every touchpoint of the brand is premium and simple, combining strong dark colours but with a touch of femininity.